Austrian transport minister Norbert Hofer has laid out the masterplan for ÖBB between 2018 – 2023. At the forefront of the agenda for Austrian Federal Railways is electrification, as the country aims to electrify 85 per cent of the network by 2030. Currently 73 per cent of the network is electrified. Addressing Austria’s Federal Council on April 5, Hofer announced plans to electrify two lines in the southeast: the Styrian Eastern railway and the Mattersburger railway. 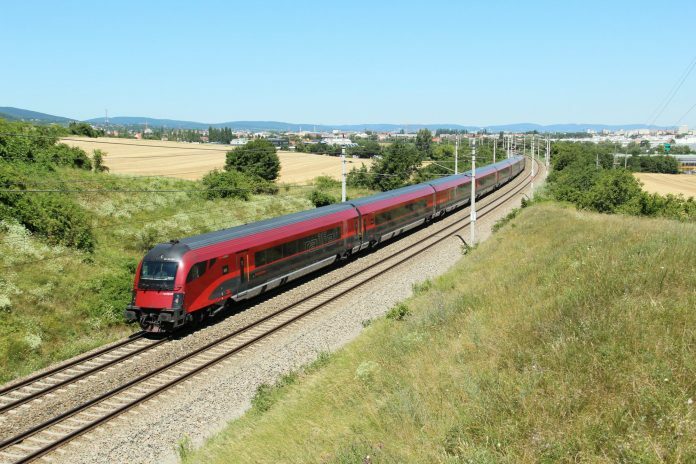 Around €140 million has been set aside for the refurbishment of ÖBB regional railway lines, work is planned at the Fürnitz freight terminal and the Mattigtalbahn branch line will be refurbished as well. Hofer also provided the Austrian parliament with an update on the Koralm high-speed railway. He said that 90 per cent of the project is either underway or complete and that 58km out of 66km of the twin tunnels is complete. However, the scheduled commissioning date has been pushed back from 2024/25 to 2025/26 as a result of difficulties tunnelling. According to a statement on the transport ministry’s website, topographical conditions of the tunnel, which at the deepest point runs approximately 1.2km underground, has caused the tunnel boring machines problems. Hofer also stressed the importance of safety, stating there would be no savings in this area, and that continuous measures are being introduced to improve mobile connectivity as well as passenger information systems and train announcements on the network.